As a result of increasing activity both within our R&D projects, as well as an increasing demand for process engineering competence, OiW has recently hired two new employees in our location in Molde. Here you can meet our new co-workers and read some of their thought regarding starting in OiW. 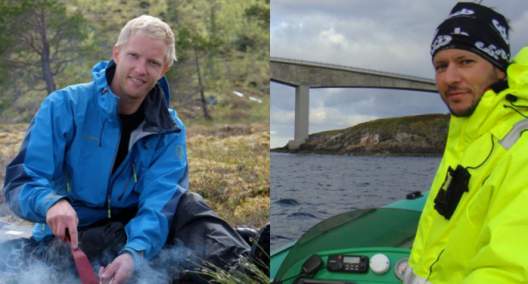 This summer we hired two new employees at our office in Molde, working to expand our activities in Møre & Romsdal. They started working from October 1st and have brought with them experience from different backgrounds in the region. As a result of the new employments, we have already been able to increase our activities on several areas, both internal and external. We have started a project as a process engineering partner for a local business in the area, and we have been able to speed up our internal research projects. Below, you can read about both of our newest members, and how they expect to contribute to developing OiW further. I wanted to work more with the disciplines i studied at NTNU, process and fluid engineering, and OiW performs front-end research and development within these disciplines. In addition, I believe that OiW is a small, up-and-coming company, which I want to contribute in building from the beginning. I completed my master thesis at the department of Energy, process and fluid technology at NTNU in December 2013, and started working at Linjebygg Offshore in Molde. There I designed and constructed mechanical equipment and planned offshore execution of jobs. I spent a lot of time 3D-modelling and planning fabrication, as well as calculating and dimensioning steel structures. What is your favourite part of living in Møre & Romsdal? I moved to Molde in 2014 because I wanted to spend as much of my spare time as possible outdoors doing what I like. The area around Molde gives many possibilities for the activities I like, such as climbing, skiing, kayaking and hiking. I think it is important to enjoy the spare time as much as possible, and I believe that this leads to more motivated and productive employees. This is a very difficult question to answer, as we have many exciting projects going on, which will define the future of the company. I hope that our technology proves to be beneficial in several of the industries we are looking into today, and in that case I think OiW will grow rapidly within the next 5 years. Having had work experience from bigger international companies, I found OIW particularly interesting. It is a small company run by a few visionary owners with a genuine drive for bringing their own technology and competence into markets that strive for smarter engineering solutions, cost effectiveness, while facing more strict environmental control. Being part of a small team like OIW gives me the opportunity to contribute and influence the company’s way forward. I hold a Master of Technology degree (Sivilingeniør) from NTNU, and have since 2005 been working for Lilleborg AS as Laboratory and Quality Manager and eventually also as a Product Developer. I also worked three years for Aker Solutions both as Senior Engineer Technical Safety in minor modification projects, and as Department Manager for project control. Just before joining OIW I worked for Shell (Draugen and Ormen Lange) as Process Chemistry Team Lead. The immediate vicinity of the ocean and the archipelago surrounding Kristiansund, and the spectacular mountain areas. Everything I need is only a few minutes away, and I never have to stand in queues neither in my car or on foot.